Sola Kosoko is a Nollywood actress whose film career spans over almost two decades. Besides, Sola is considered to be a timeless beauty with an impeccable fashion sense. Check out the best Sola Kosoko fashion styles 2017! Sola Kosoko Ankara style and Aso Ebi outfits are always a delight and fans are happy to see Sola’s latest fashion styles for special occasions. The couple that dresses together stays together – recently Sola and her husband visited an important event in matching Ankara outfits, which definitely were a success. When it comes to Aso Ebi, Sola Kosoko fashion is simple but effective. This blue Aso Ebi with a delicate pink pattern is a perfect choice for a wedding where you need to look your best. For her birthday last year Sola Kosoko chose one of the prettiest Ankara styles she’s ever worn. With an elegant pattern of the skirt and a lace bodice there is nothing more we could wish to see in this look. Beige and pink are one of the classic colour combinations for Nigerian weddings, and Sola couldn’t ignore this ignore this sophisticated pairing. This colour palette works perfectly for the actress, and we’re simply in love with her necklace. Sometimes Sola Kosoko goes for the most dramatic fashion choice possible and she never fails to pleasantly surprise her fans. 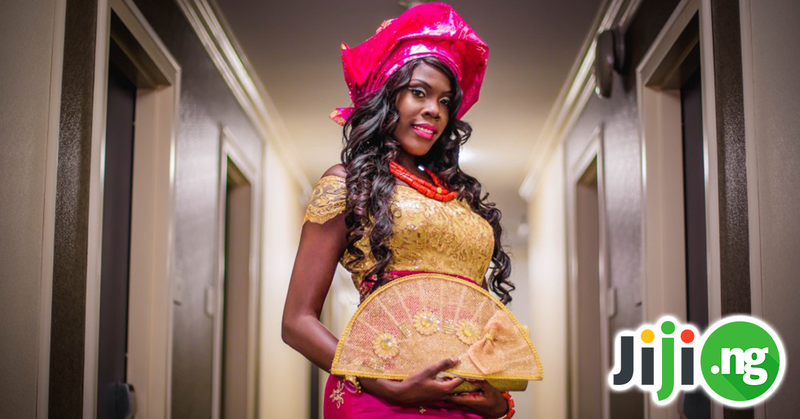 This deep sea green Aso Ebi, complete with dramatic makeup, creates an absolutely flawless wedding look. Sola Kosoko is a frequent guest of red carpets and other VIP events, and her dress style is always a sight to behold. The lingerie trend has conquered the fashion in 2017 and Sola couldn’t stay aside either! Her crisp white dress, made from a very delicate fabric, suits the actress really well. Another simple but effective red carpet fashion choice made by Sola Kosoko is this purple dress. Sola effortlessly made it more appropriate for the red carpet with the addition of striking fuchsia accessories. Black velvet is a timeless classic and it was destined to make its way into Sola’s wardrobe. This short black velvet dress with a sweetheart neckline is an extremely powerful garment. Florals are truly a girl’s best friend, regardless of the occasion and the style they’re part of. This maxi blue dress with a colourful floral pattern is a great example of everyday casual dress that is still very fashionable. 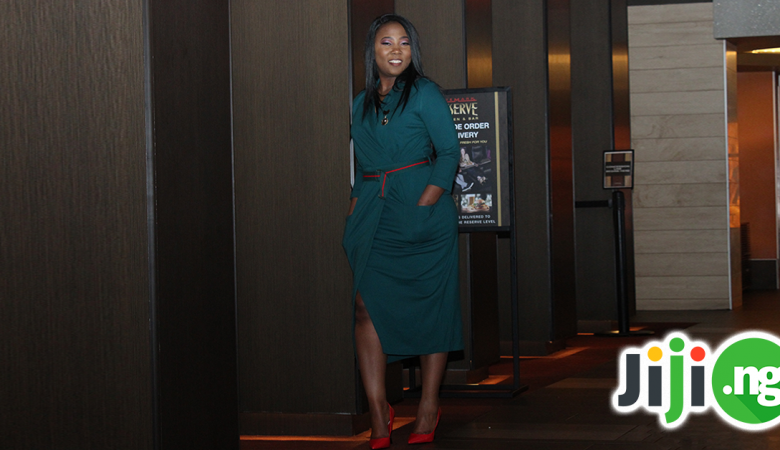 It’s not often that Sola treats her fans to pictures of herself in a mini-dress, but when she does, the whole look is styled to perfection, just like this edgy golden mini! Even a simple meeting with friends or a day out with her kids is enough of a reason for Sola Kosoko to wear something beautiful and practical at the same time. Only a true fashion pro like Sola could pull off the double denim look – by smartly accessorizing it, the actress turned the outfit into an ideal casual look. What can be more classic than a pairing of a white top and black trousers? Sola elevated the outfit by wearing killer heels, and her stunning earrings are another great part of this look. There are not too many ways to make simple black jeans look high fashion, but Sola found the most effective one – this striped Ankara peplum top is undeniably eye-catching. Luckily for us, we can see Sola’s Ankara style not only in the form of beautiful dresses, but also casual jumpsuits. Once again, her accessory game is unmatched! Sola Kosoko has enough star power to turn the most basic combination of a white top and lightwash jeans into something spectacular!